Welcome to the party of the year, with metaphorical cake (blame the internet) and a look back on Lexi Likes history. Yes my friends, it is the very 1st birthday of this blog, my blogiversary if you will. Although it was created early 2013, today marks the anniversary of my first outfit post, which I think is where it all began. Here are the best moments of our first year. In October, I was accepted into the Teen Vogue fashion click and my first outfit was published onto their site. In November I went to two fashion shows held at Asia House in London. The first was the Strand of Silk show, where I was introduced to the brand and some beautiful Indian embroidery. The second was the Fashion Parade, where I saw some amazing and unique Pakistani designers showcase their work. In December, I went to the Clothes show Live. I watched the show which had such great energy and bought lots of clothes from fab vintage stalls. In January, I bought my all time favourite shoes from a charity shop and documented that an old man serenaded me on the bus with 'These Boots are Made for Walking'. I also went to the Scoop international fashion trade show, which was my first event where I had got invited all on my own as a blogger, without buying a ticket or knowing anyone etc. Also in February, I travelled to Sweden and wrote this outfit post which is my most viewed outfit of all time. I think it's one of my favourites too. In March, I turned 14 and launched my youtube channel. Here is my first video. I'd like to think I've become slightly less awkward in front of the camera now, and I also have got rid of those braces. In April, I was invited to the Good Results PR press day. I had a half day at school and then took the tube down to Soho. It was held in an apartment in the Soho Hotel. It was all very exciting, and definitely a very Hannah Montanna/double life moment. 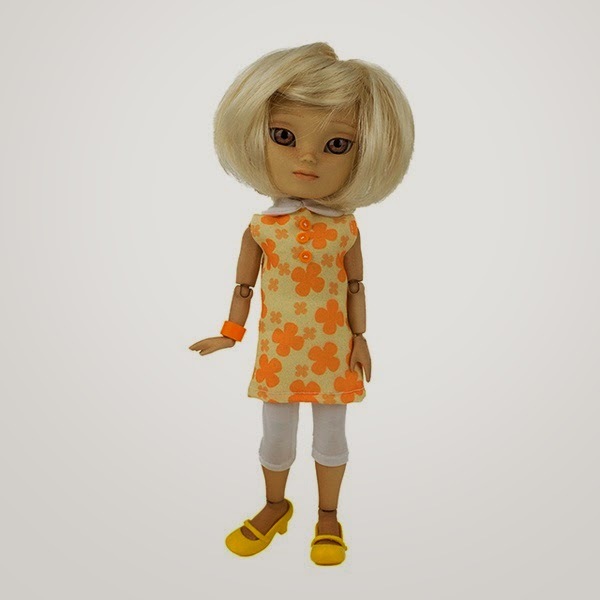 In May, I did an awesome collaboration with Makies dolls and designed an outfit for them! You can check out the design in store HERE and read my post about it HERE. And that my friends brings us to the present day. Thank you so much for reading my blog, I plan to stick around for a while. What was your favourite Lexi Likes post this year? This is so cool, you've done so much amazing stuff!!! Can't wait for a whole nother year! Ah thanks so much Sonja, me too! congrats! you seem to have accomplished a lot!!! That's a lot. You are very dedicated and interested in fashion and I think you should definatly keep fueling this because you will look and be amazing ! You never know what the future holds ! Congratulations Lexi! Seems like you've had a pretty fantastic first year, can't wait to see what next year brings!